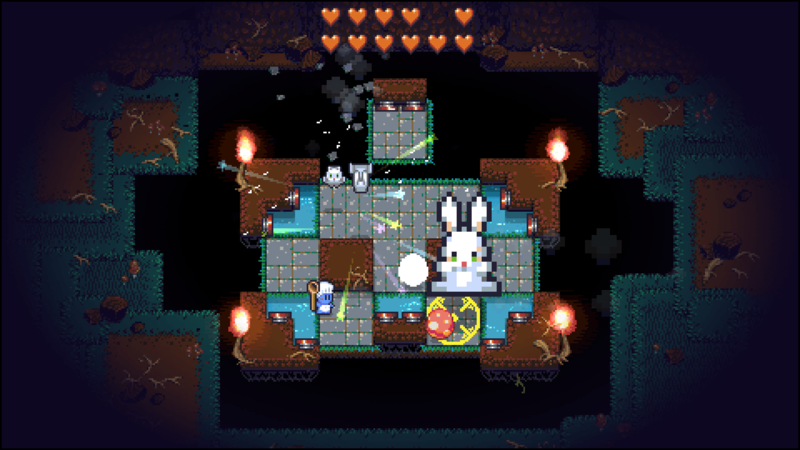 Radical Rabbit Stew is a fun puzzle game which gets your brain working overtime as the puzzles progress. 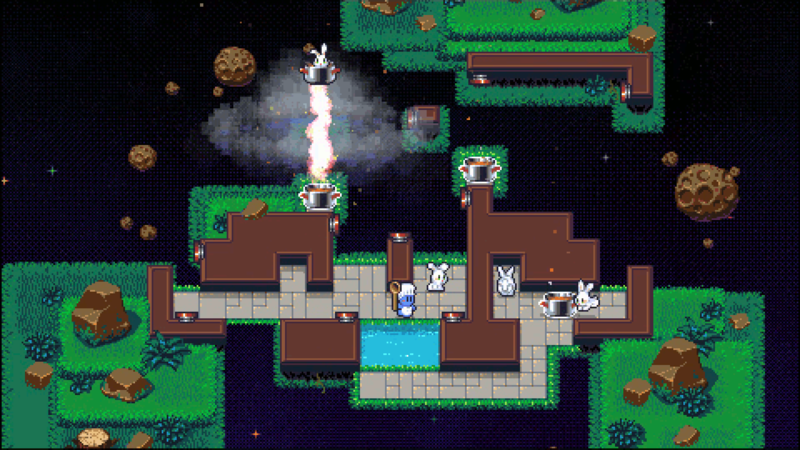 At first glance, this innocent looking game presents itself as an easy puzzler where you try to catch rabbits and toss them into your stew. Except that there are blocks blocking your path and “pinball” style bumpers which redirect the direction of your rabbits. 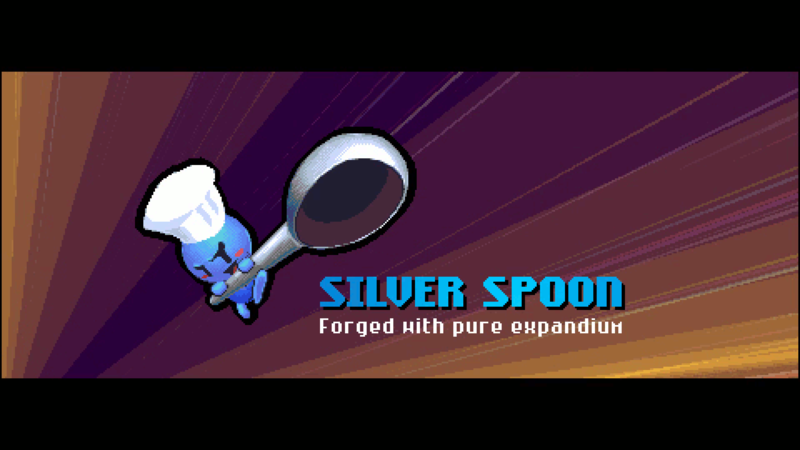 The goal of the game is to smack the bunnies with your spoon and get them dazed so that they don’t attack you, then you swing once more to send them zipping down the path. If there is a block in your way, as long as it’s breakable, it will get destroyed and the bunny will bounce back to you. If it hits a bumper, the rabbit will be redirected into that direction. 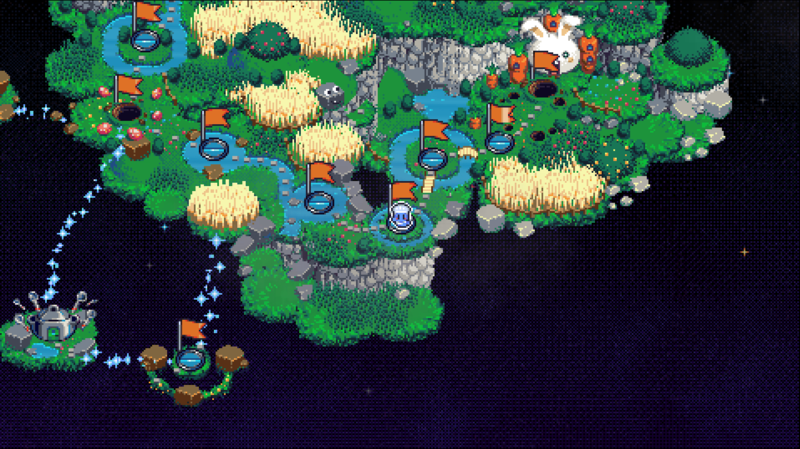 Often times you’ll find that the path you send the bunnies into is the wrong move, forcing you to restart the level. In the demo we got to play about ten levels, although about half of them were tutorial levels, the other half elevated in difficulty which only added to the excitement when you solved the puzzles. 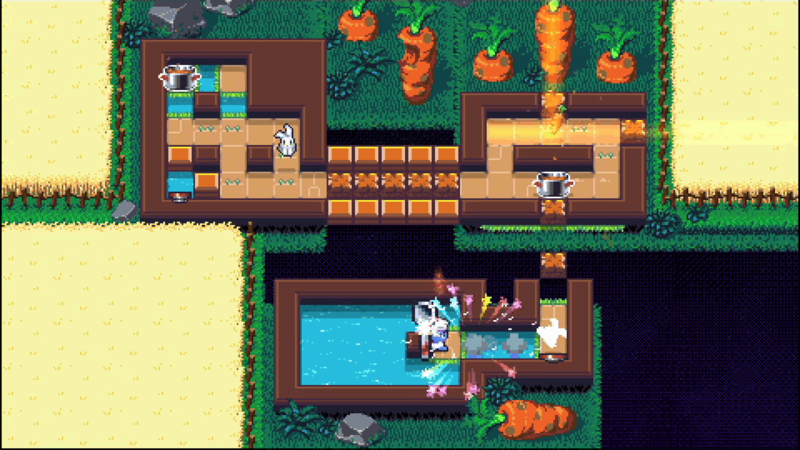 To end things, in the demo, we faced a boss, a massive rabbit which jumped from block to block and also dropped eggs on the map to be used against the massive rabbit by smacking the eggs towards the big rabbit. 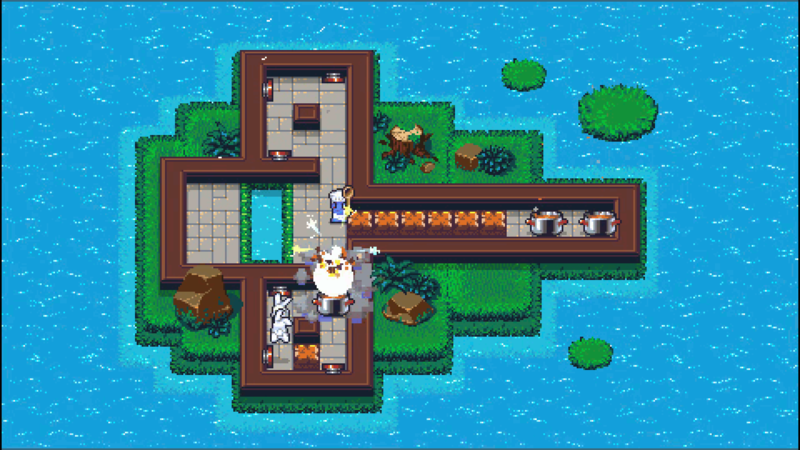 Leaving the eggs un-touched would result in a rabbit popping out of it further adding to the difficulty of finding a safe spot to step on while the boss leaps around the map. Published by Sold Out Sales & Marketing Ltd.